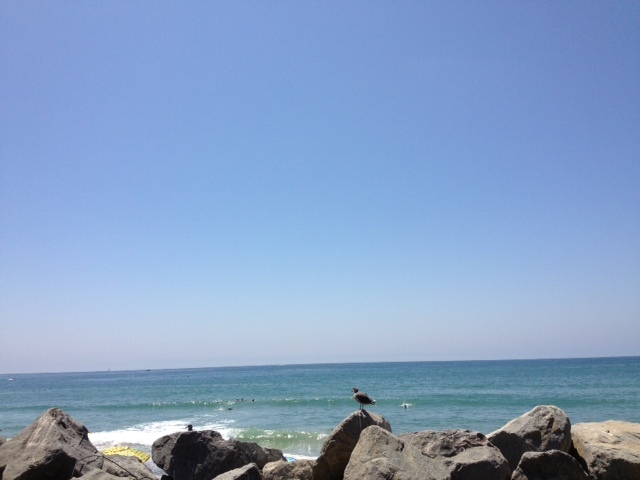 I don’t like seagulls much, but this one did nothing offensive during the brief time we were together. Anyway there can’t always be pelicans. Ocean with gull, in landscape mode. Ocean with gull, in portrait mode. 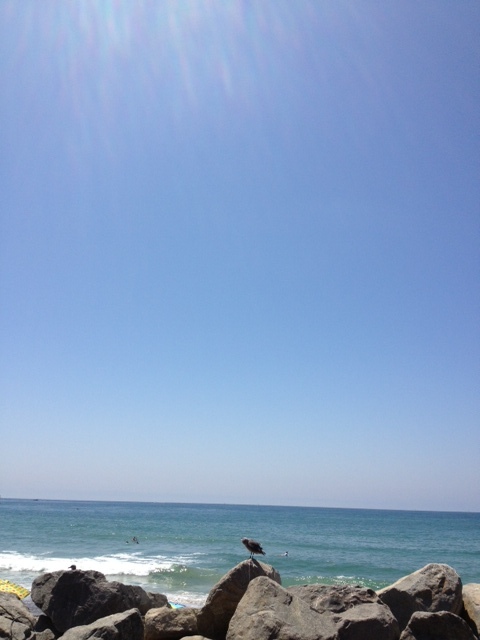 These photos show a glimpse of beach at San Clemente, CA, where it is always this beautiful.